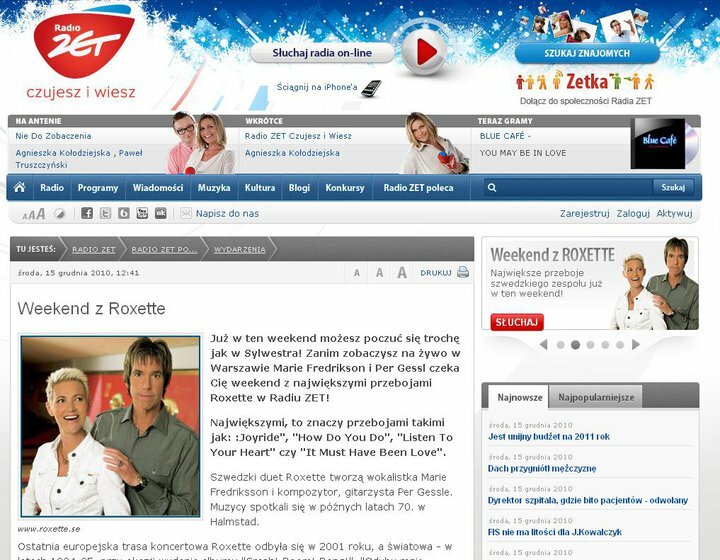 Polish Radio ZET prepared a special treat for all Roxette fans – they will able to listen interview with Per Gessle and hear the biggest Roxette hits during the Roxette Weekend on December 18th and 19th. Radio ZET is the official media partner of the New Year’s Eve party in Warsaw. I am not sure if this interview with Per Gessle is new – I suppose it is the one recorded back in 2001 during the first Roxette visit to Poland.